Ingrid Gipson was born in Germany. She chose to study Fashion Design and Marketing in Wiesbaden, Germany. She built for herself an impressive career in the field of fashion from designing to heading up companies. Her work took her to markets of Dallas, New York, Los Angeles, Chicago, and to several Countries in Europe. Before retiring full time she consulted with manufacturers in all fields of the industry from financing to design and production through marketing/merchandising & sales strategies. She was much sought after to lecture to Fashion Design senior level students at University of Texas at Austin, Texas Tech and others. Ingrid Gipson selects the motif for each work very carefully and edits rigorously where it has collective meaning and thus addresses the deepest most ancient parts within us all. She insists that all her work be original and created without any molds whatsoever. Some of her motifs are the dream images of Jungian Psychology mixed with the mythological and religious symbolism of art and tales told since prehistory. She finds endlessly fascinating how the themes repeat themselves in different guises throughout the ages and vastly varying cultures. Being created from clay the sculptures are subjected to incredible stresses in firings, and have resulted in total destruction more often than one might imagine. There is a reason that one will seldom find large sculptures in clay. Small fissures or detachments are repaired and thus become evidence of its passage in the process of becoming. 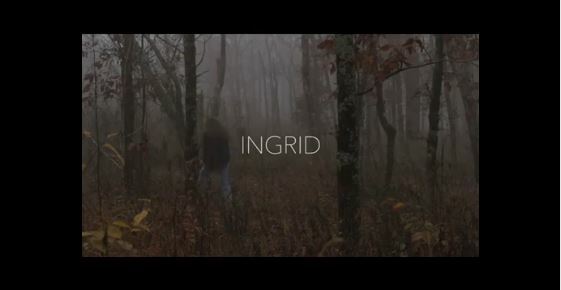 A narrative film on Ingrid will be featured at the Slam Dance Film Festival held from January 19th - January 25, 2018 at the Treasure Mountain Inn in Park City, Utah. a reclusive hermit, immersed in nature, focused solely on creating art."